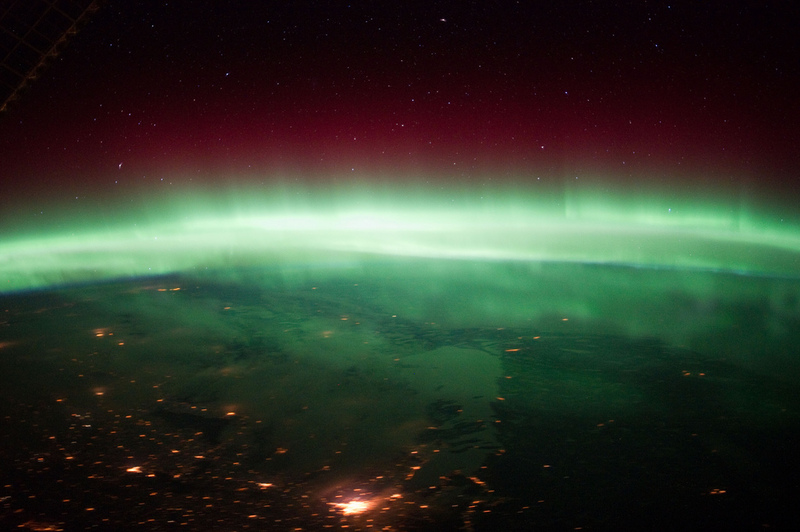 A very active Aurora Borealis was photographed by one of the Expedition 30 crew members aboard the International Space Station flying approximately 240 miles above Manitoba, Canada on Jan. 25, 2012. Lake Winnipeg (lower right center) and the major city Winnipeg (bottom center) are easily recognizable in the nighttime scene. Strong solar activity during the last weeks of January 2012 sparked energetic aurorae around the world. Recent studies have shown that the aurora are created by powerful magnetic field lines that speed up charged solar particles, sling-shotting them back into Earth’s upper atmosphere where they collide with oxygen and nitrogen ions and create bright glows — it’s literally a planet-sized particle accelerator! Previous Post Daytime Moon, Hello Venus!